U.S.A.F. 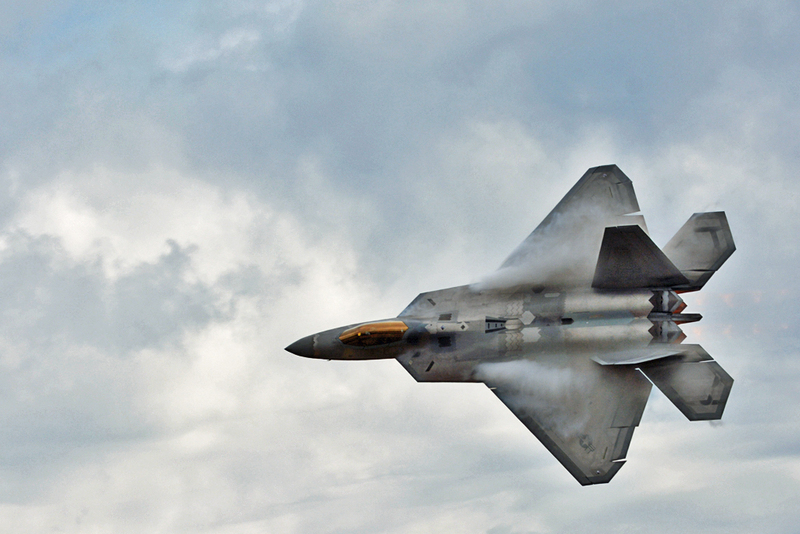 F-22 Raptor. Condensation on wings due to high speed in moist air. I love to photograph aircraft, especially military types. I have a special fondness for the older warbirds. Some shots are static, on the ground, whereas others are of the aircraft in motion. I have thousands of photos of aircraft and will post more here. As I have time to select and process them, I shall add photos from air museums etc. Aircraft will include Mosquito, Spitfire, P-47, P-51B, P-51D, Harvards, B-25, B-17, Bearcat, FW-190 etc. Click on a photo to enlarge it. Click outside the photo’s border to close that window. When you hover over a photo, arrows may appear on the left and right sides to scroll to the next photo in the gallery. 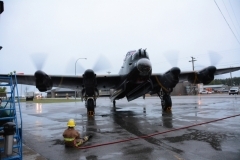 The Lancaster at Nanton running all four engines, June 2014. Sadly she is not airworthy. There are only two Lancasters in the World still airworthy and only two that can run all four engines.